A horror story may convey supernatural fear or psychological disquiet, gruesomeness or terror devoid of a physical cause. I hope to represent all these and more in this book. 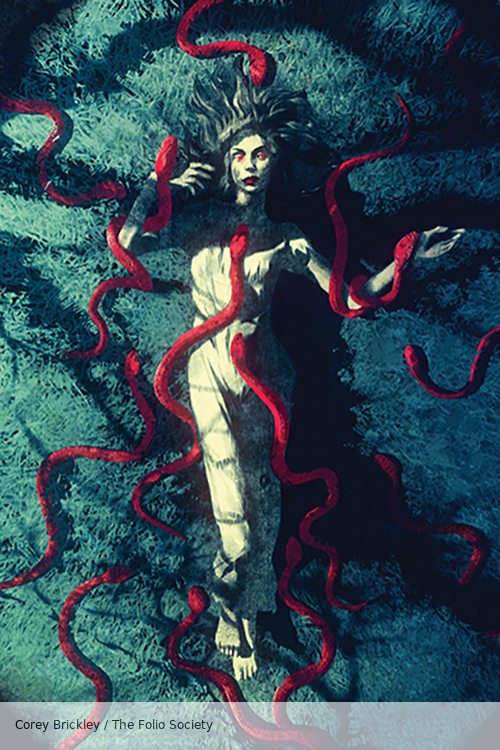 As with all Folio Society editions, there has been a great deal of thought and energy into how the The Folio Book of Horror Stories will look, with some wonderfully dark illustrations by talented artist Corey Brickley. The stories include key authors of the horror genre, from the classic tales of Edgar Allen Poe and MR James to contempories including Stephen King and Adam Neville. Each is a wonderful example of the genre. The collection wouldn't be complete without a story from Poe who was not only one of the first American authors to write short stories, but is also considered to be one of the founders of the horror genre. The Fall is one of his finest stories and describes the unnamed narrator arriving at the house of friend Roderick Usher after receiving a letter describing his friends illness. Things get strange quickly, his friend is suffering from a number of psychological illnesses that are all a result of sensory overload. It's a dark and twisted tale and the ideal start to the collection. The Yellow Wallpaper is a semi-biographical work by Gilman which she wrote during a severe bout of Postpartum psychosis. The story is narrated in the first person as a collection of journal entries. The woman writing these entries has rented an old mansion for the summer with her physician husband John. In order to recover from "temporary nervous depression – a slight hysterical tendency" (a common diagnosis given to women in the 19th century) she isn't allowed to work and they both move into the upstairs nursery, forgoing other rooms of the house. As the story deals with attitudes towards womens physical and mental health during the 19th century, The Yellow Wallpaper is considered an important work of early American feminist literature. MR James is best remembered for his Ghost Stories, which are often regarded as the finest in the Genre. At a time when these stories were written in a formal Gothic style, James broke the mold and created the "antiquarian ghost story". Count Magnus describes englishman Wraxall travelling to Sweden with the intention of writing a guidebook. His idea was to include some interesting incidents from Swedish history and hears of a family who is said to have a large volume of Swedish historical documents. Wraxall becomes fascinated with a member of this nobel Swedish family - Count Magnus, who was said to have dabbled in the occult and was extremely cruel. Welsh author Arthur Machen has been hugely influential in the fantasy and horror genres. His novella "The Great God Pan" has been described by Stephen King as "Maybe the best horror story in the English language". The White People is just as important and thought to be have influenced generations of writers since, including HP Lovecraft. E. F. Bleiler wrote that The White People "is probably the finest single supernatural story of the century, perhaps in literature". The story focuses on a discussion between two men on the nature of evil which prompts one of them to reveal a strange green book in his posession. The book is a young girls diary and describes an initiation into a secret world of folklore and black magic with allusions to topics such as "nymphs", "Dôls" and "Troy Town". It gets darker the futher the story travels and is just superb. Algernon Blackwood was one of the most prolific writers of ghost stories in the history of the sub-genre. Ancient Lights tells the tale of a clerk who takes a trip in the countryside to find his friend's farm. Despite being an experienced walker with a natural sense of direction, it seems nature is conspiring against him, especially if he dares entry into the "fairy wood". Ramsey Campbell has said that The Music of Erich Zann was "the single Lovecraft story that the late Robert Aickman liked" and Lovecraft considered it one of his best stories. Due to a lack of funds a student is forced to take the only lodging he can afford, which is in a part of the city he doesn't know on a street he's never heard of - "Rue d'Auseil". It's almost empty and one of the few inhabitants is an old mute german who plays the viol in a local orchestra. He lives on the top floor and sometimes plays strange melodies no one has ever heard before. Then one night as I listened at the door I heard the shrieking viol swell into a chaotic babel of sound. Fritz Leiber was a giant of speculative fiction and wrote many stories that have since become classics of the genre. Although he is perhaps best known for his fantasy stories (having coined the term sword and sorcery) one of his earliest influences was HP Lovecraft. His work in the horror genre is vastly under-rated and Smoke Ghost stands as one of his best horror stories, it's pure Leiber gold. Margaret St Clair was an early pioneer of women in science fiction and Ramsey Campbell has commented that her work has "yet to be fully appreciated". Teenager Brenda Alden finds a strange man while out alone in the woods, a grey, blobbish shape of a man. Only it's not really a man and it doesn't appear to give up chasing her. I love the perspective of this story, and the ending is great. Just as St Clair was a pioneer of science fiction, Shirley Jackson was of Horror and became an influential writer, cited as having an impact on the writing of Neil Gaiman, Stephen King, Sarah Waters, Nigel Kneale, Joanne Harris and Richard Matheson to name a few. Miss Harper finds herself having to take a late bus and falls asleep. Waking up at the end of the journey, the driver forces her off and into Ricket's Landing, a place most have trouble finding. A sobering tale for anyone who has nodded off to sleep on a bus (or train) before now. 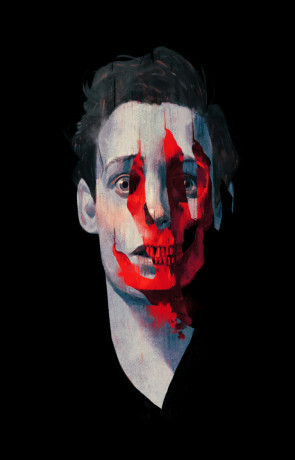 There is no doubt that Campbell is one of the leaders in the field of modern horror. He has won more awards than I can possibly count while S. T. Joshi has commented that "future generations will regard Campbell as the leading horror writer of our generation, every bit the equal of Lovecraft or Blackwood". Again follows Bryant as he explores a nature trail and finds an old lady who needs help getting into her cottage. After climbing in through a window, things take a turn for the weird. Again is a dark little story but one of my favourites of the collection. Thomas Ligotti is something of a cult figure within the literary world. A recluse, his world spans a number of genres but he's best known for his weird fiction and horror. The Washington Post once described him as "the best kept secret in contemporary horror fiction". Victor Keiron dreams of a different world and awakes in a strange room, in a city that must be the unreality that is Vastarien. It's a head-spinning, magical little tale. 1408 is Stephen King's take on a haunted hotel room horror story. It tells the story of Mike Enslin who writes non-fiction works of haunted places. 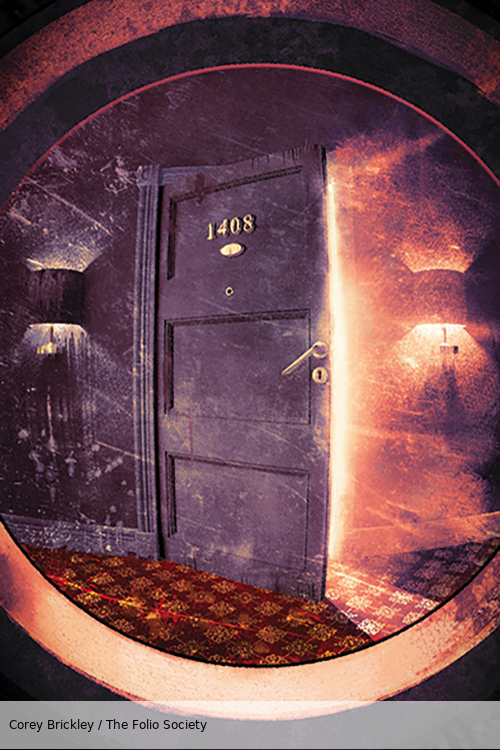 As part of the research for his upcoming book "Ten Nights in Ten Haunted Hotel Rooms" he intends to spend the night in room 1408 of the Dolphin Hotel on 61st Street in New York City. The hotel manager claims that over the span of 68 years, the room has been responsible for the deaths of at least 42 people - 12 of them suicides and at least 30 "natural" deaths. It's a wonderfully chilling tale and was made into a film of the same name in 2007 staring John Cusack and Samuel L. Jackson. The film is way under-rated and worth checking out (as is this story). Reggie Oliver is another well kept secret in the Horror genre. An award winning author, his work has appeared in over 50 anthologies. Narrated in the first person, Flowers of the Sea is a story about a man and wife who's lives are changed after they are both hit with a telepathic surge while driving to a friends. It's an interesting story that deals with the connection between memory and identity. There is my wife’s body pressed flat between two pages, dwarfed and condensed by some unspeakable process. The last and most recent entry in this collection is by Adam Nevill, winner of the August Derleth Award for Best Horror Novel on three occasions so far. He is the best of a recent wave of horror novelists and is perhaps most well known for his novel The Ritual, which was turned into a film in 2017. 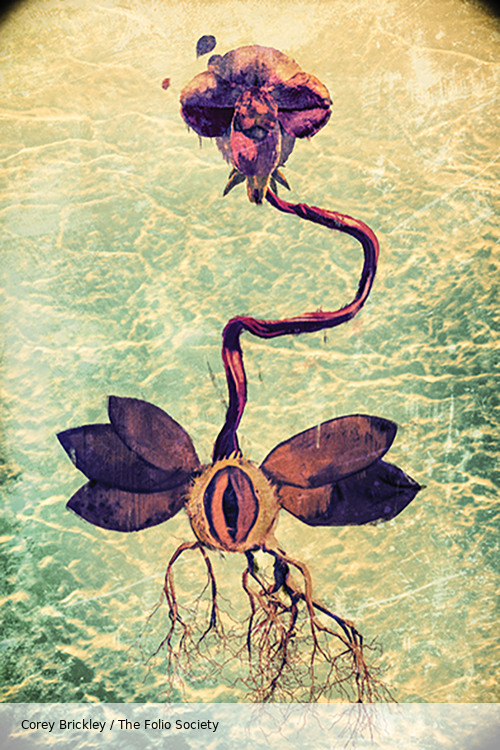 Hippocampus is a short, gruesome tale of a ship out at sea. It seems the crew members may have found something that would have been best left alone. Written on 8th October 2018 by Ant.